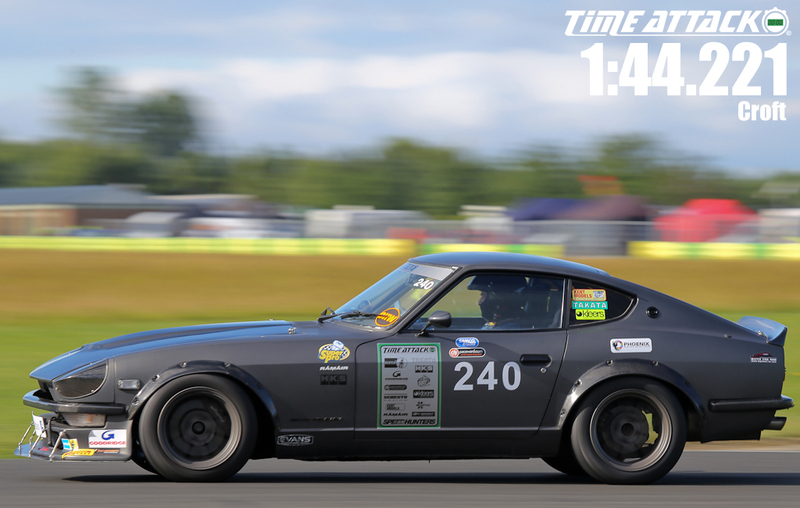 Car Feature : The Kiddell Datsun 240Z - Time Attack® - It's not racing... It's Time Attack!! 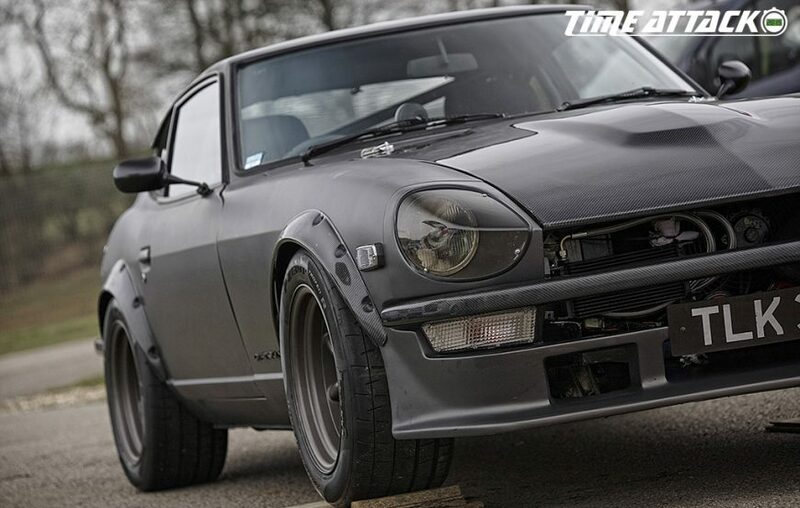 Believe it or not, this tough-looking 240Z started off being a concours car. Gleaming chrome wrapped in a classic package. But then owner/driver Steve Kiddell was out for a spirited drive one day and was overtaken in a bog standard car. More power was needed! The next step became to get the car on the drag strip, mining data on what worked and what didn’t. Things were definitely improving as it soon gained the UK club record at Santa Pod. 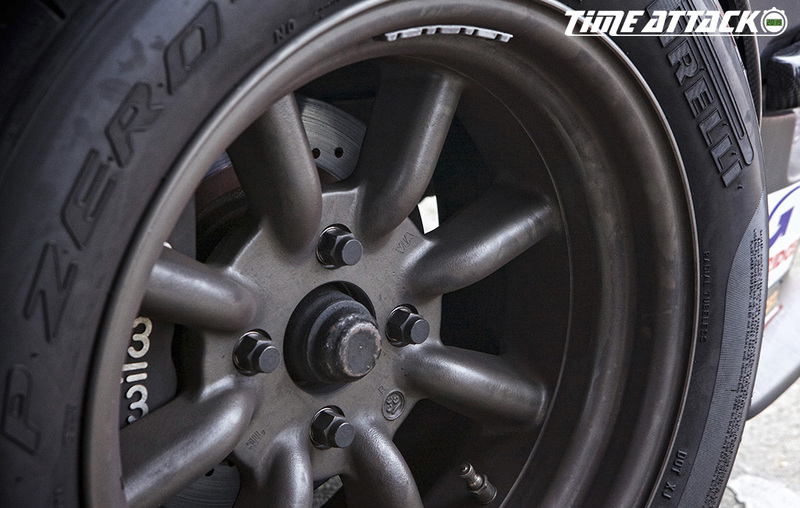 Then Time Attack desires stepped in. The engine, gearbox and diff are all built by Steve in his garage, but there’s been some help from Dave Walker @ Emerald ECUs with the car running fuel injection and Rick Wood Motorsport have worked their magic on the head, porting, gas-flowing and CNC’ing it. The result is an impressive 300hp. Coupled with the fact that the car weighs in at a mere 1040kg, it’s surprising to hear that Steve feels the car is very neutral and forgiving, but that’s definitely helped along by the custom, fully adjustable, fully rose-jointed and link adjustable suspension and the full corner weighting on the car. Its a very serious bit of kit. Bringing the car upto Time Attack ready spec was easy – harnesses, Pirelli tyres, a fire extinguisher, an official sticker pack and he was on track and in business. It’s perhaps on the outside where the car’s changed the most though, ditching the highly polished chrome for a much tougher collection of carbon. 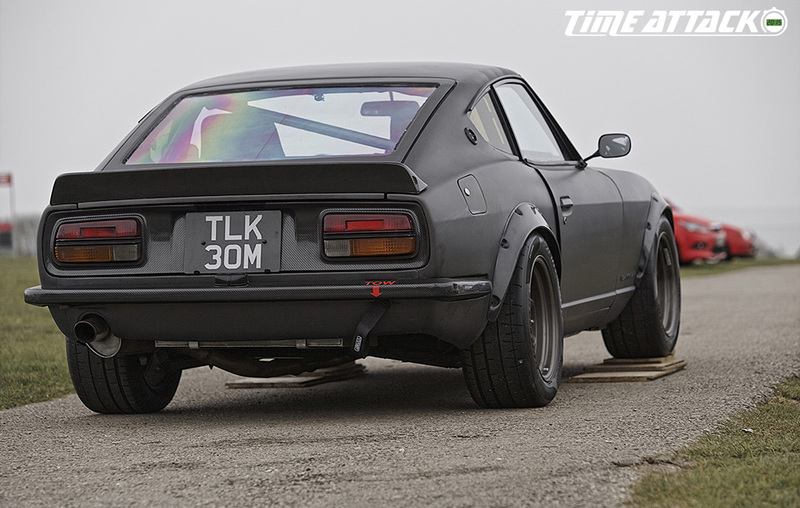 Wheel arches, bonnet, front and rear bumpers, tail plate, spoiler, air box and seats are all made out of the tough stuff and coupled with the genuine Watanabe wheels, serve to make Steve’s Z one stunning Fairlady. Steve took to the track in Time Attack, recording some impressive times this season in a car which many would see as a rapidly appreciating classic that should be restored, not raced but clearly thats not for Steve. 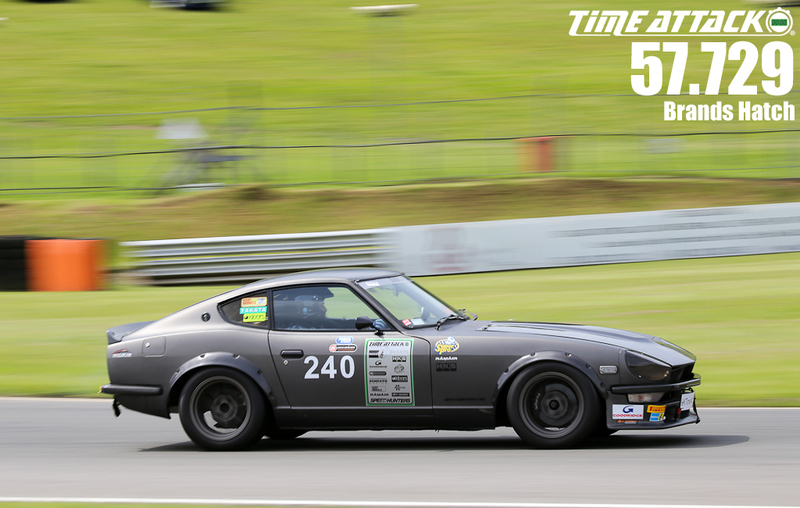 If you are a lover of Datsun’s or just like your Time Attack machines to be a bit different from the norm, we think you’ll agree Steve’s efforts tick both boxes. 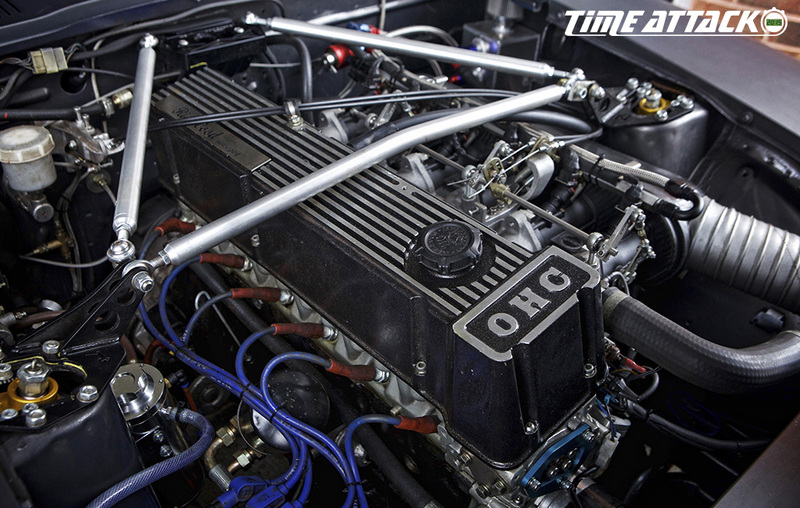 Make sure you stop by Steve and his 240Z in the paddock and get the low down on this very special Time Attack machine. Best of luck for 2017 Steve.